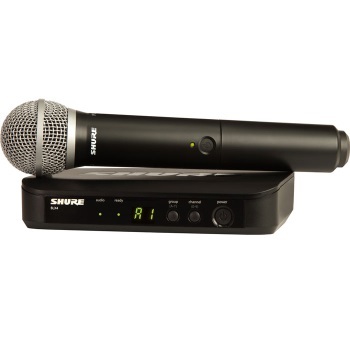 BLX wireless systems from Shure are the ideal entry-level UHF wireless microphone system for small venues. BLX offers professional quality sound with simple setup and an easy-to-use intuitive interface. Transmitter form factors include a handheld or bodypack with various headworn, lavalier, instrument clip-on, or instrument cable options. Powerful flexibility in single-channel, dual-channel, and rack mount receiver options available. Questions about ordering? Call us and we'll help!